Finally, Puduraya Bus Station did some upgrades. It use to be hot, cramp and noisy last time, is still the same right now but with the new waiting area, you no longer need to stand and wait for your bus near the platform or the ground floor like you use to. 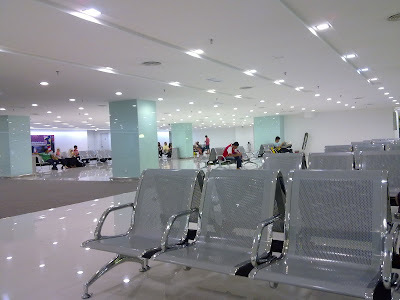 Even thou the upgrades aren't much but the new waiting area gives me a comfortable feeling, toilet is cleaned, air-conditioned and less noise ( probably because many of them never realise about the place or too lazy to climb up). Hope there will be more upgrades to come. Haha yea is in pudu.